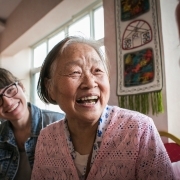 $1000 prize is awarded to the best photo-and-essay submission from an MLC student or graduate who has served in an international ministry. 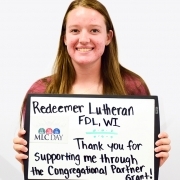 Promote and celebrate ministerial education by hosting an MLC Day in your congregation! MLC Day is a day to . . . Photograph your school, class, or faculty creating an MLC greeting. Videotape an MLC shout-out, song, or skit. Write a prayer for our students and staff. Share all of these with us by email or Facebook! 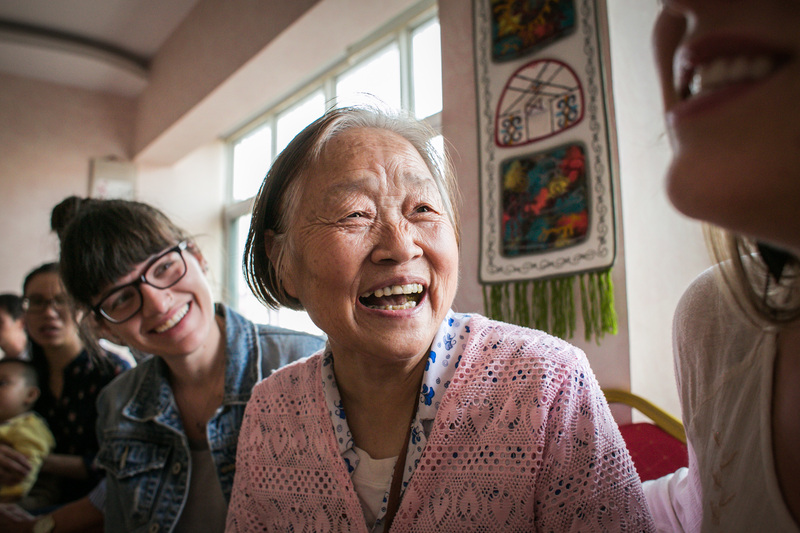 Gather an offering for your College of Ministry. 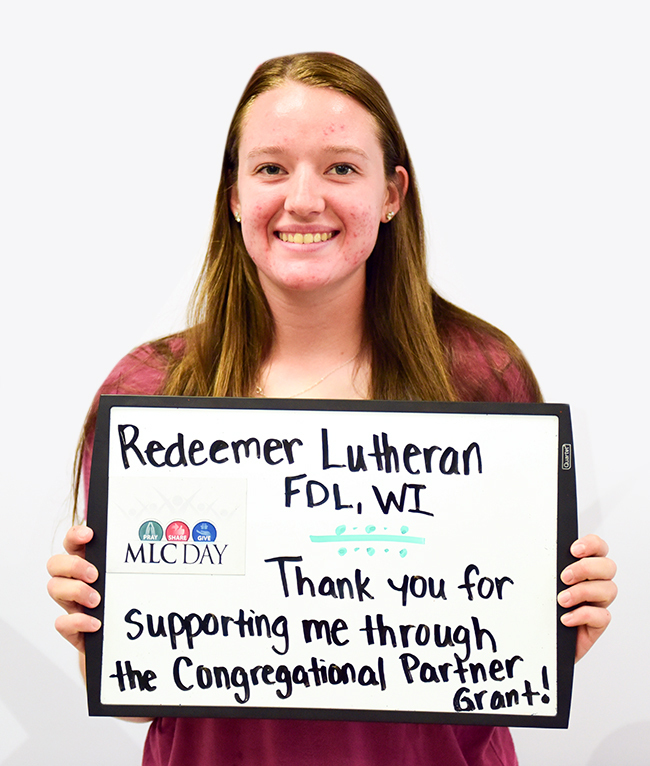 Your gifts on MLC Day will help fund the Congregational Partner Grant Matching Fund, directly supporting MLC students! Find more ideas at mlcday.com! On MLC Day, May 1, we’ll have a grand unveiling of all the schools’ and congregations’ prayers, posts, shout-outs, and songs! 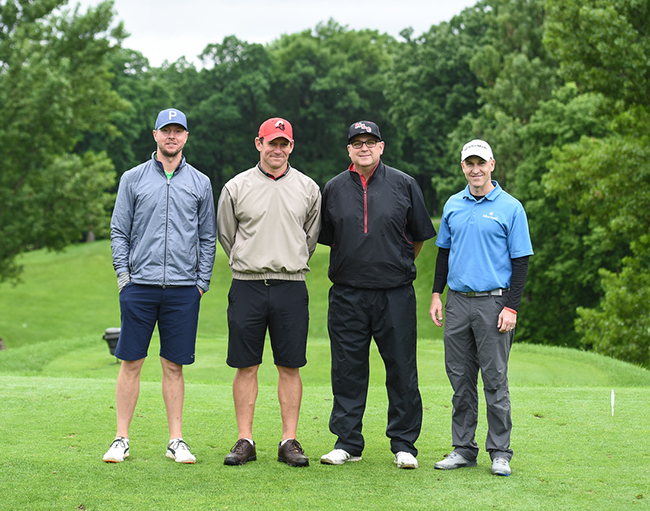 Ninety-three golfers teed off at noon on June 11 to support Martin Luther College. 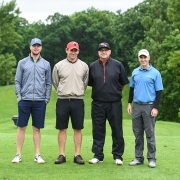 The winning foursome on the New Ulm Country Club course (pictured) were Joey Schugel (formerly of New Ulm Park and Recreation), Matt Pearson ’97 (MLC professor), Jeff Anderson (SouthPoint Credit Union, New Ulm), and Toby Freier (New Ulm Medical Center). This community event raised $31,685 for campus improvements and student scholarships, raising the 26-year total to $838,134. Thank you to all our friends and supporters in New Ulm! 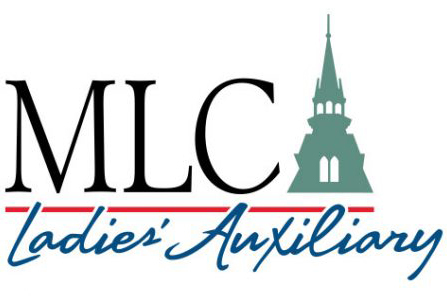 All friends of MLC are encouraged to review the Ladies’ Auxiliary projects. Consider a contribution to the Auxiliary to help fund the prioritized list below, or adopt a project in its entirety! We appreciate the great support we have received for our projects over the years. 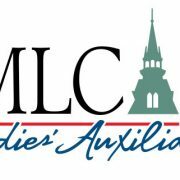 Visit us at mlc-wels.edu/ladies-auxiliary for more project details. The Congregational Partner Grant Program (CPGP) continues to make a big difference in the lives of our students. For the 2018-2019 school year, 457 students from 235 congregations received grants from their congregations totaling $375,430. MLC then matched these grants. If you’d like to support your congregation members studying at MLC, please apply! Applications for the 2019-2020 school year will be accepted until June 3, 2019. If you do not have any MLC students in your congregation, you can still participate. You can be the match! Your gift will be used to match other congregations’ gifts to MLC for their members. 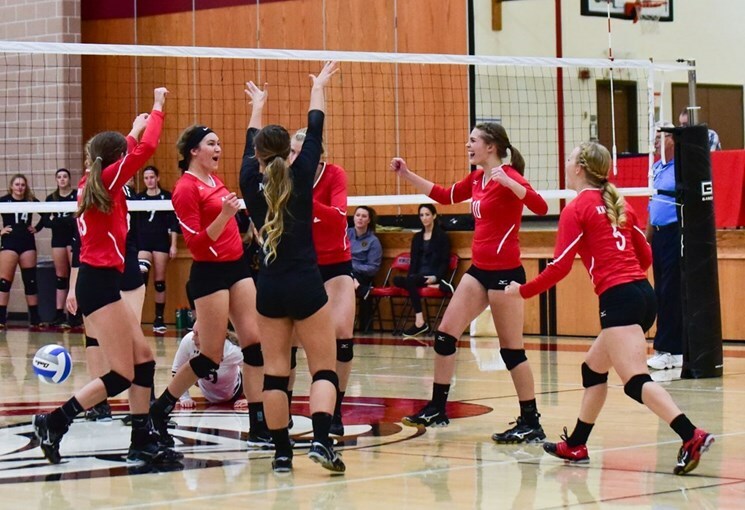 NEW ULM, Minn. – The Martin Luther College volleyball team earned the Team Academic Award from the American Volleyball Coaches Association (AVCA) on Monday. 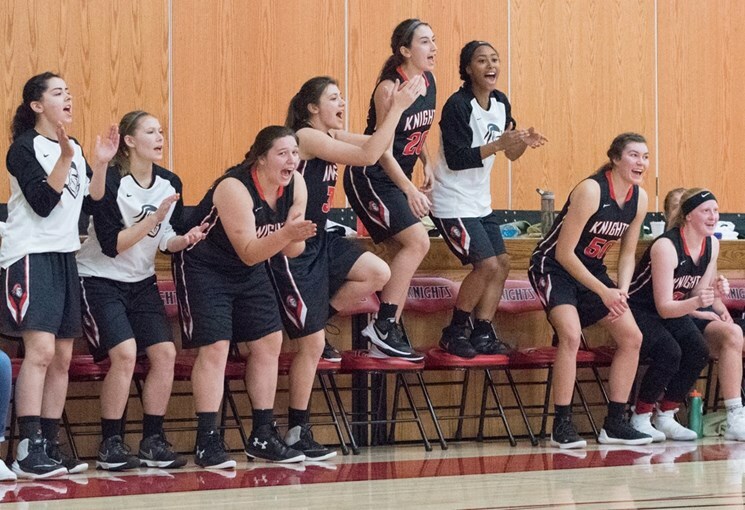 MLC also earned a spot in the AVCA Academic Honor Roll with one of the top 25 team grade point averages (GPA) in all of NCAA Division III. 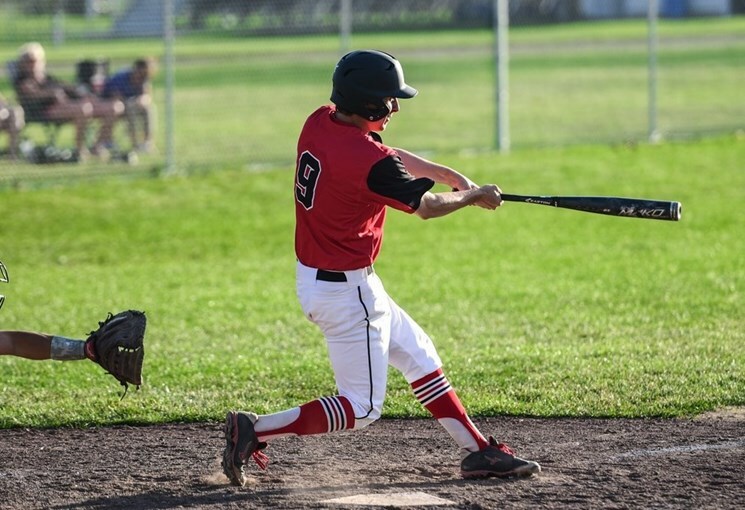 A total of 173 teams in NCAA Division III earned the honor, which goes to teams that finished the academic year with a team grade point average (GPA) of 3.3 or higher. 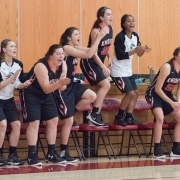 During the fall semester, the Knights finished with a team GPA of 3.82. 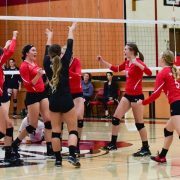 That was not only the top GPA among all Upper Midwest Athletic Conference (UMAC) volleyball teams, but also the highest team GPA of any team from any sport in the UMAC last year. 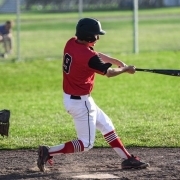 You can see the full release from the AVCA if you click here. To view the list of schools to earn the Team Academic Award from the AVCA, click here.